After only owning the Nars Hot Sand Illuminator last June, I decided that Nars was a brand I needed to invest in. I heard a lot of positive comments from other bloggers about the Audacious Lipsticks, the blushers and the eyeshadow palettes and thought I'd give them all a try. 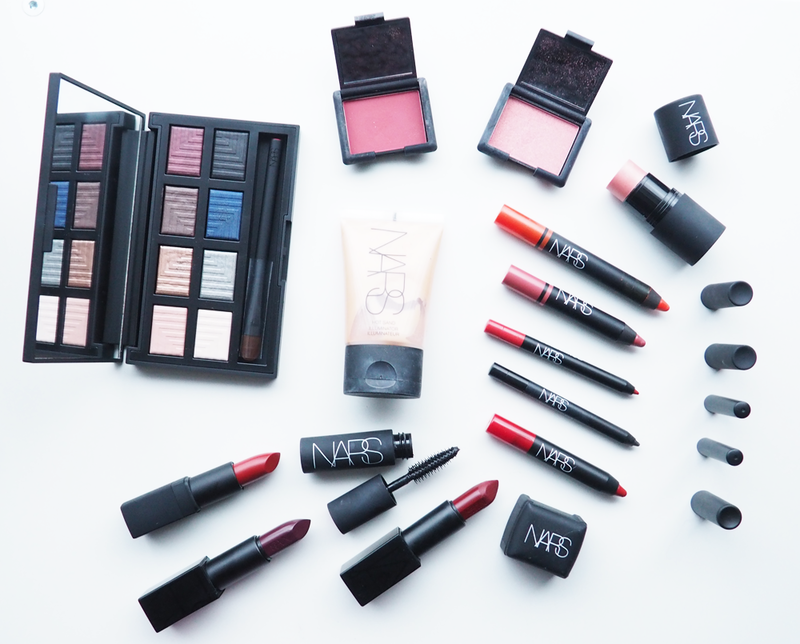 In November I bought the Nars Glossybox and loved all of the mini products and my love for Nars continued from there. 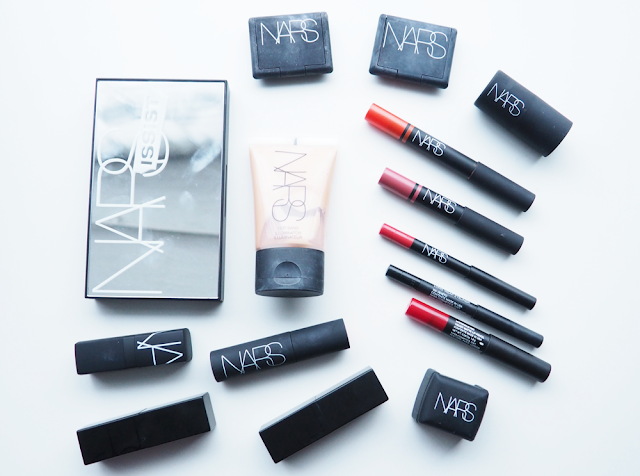 For Christmas I was gifted some Nars presents and I've already have a list for future products I'll be buying. 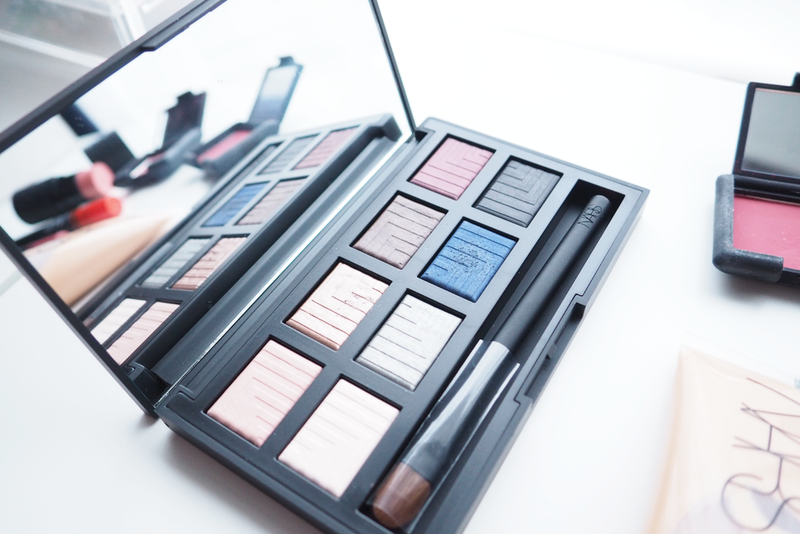 The Dual Intensity Palette is a very pigmented palette and can be used both wet and dry, hence the name. The eyeshadows are creamy and blendable, with a stronger colour when used wet. For me, this is my perfect palette. 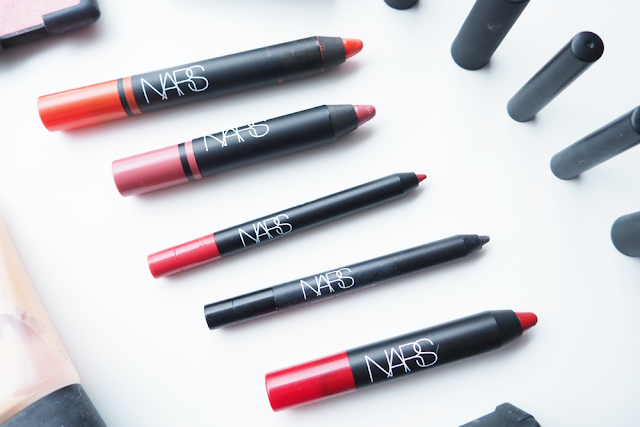 It has a good colour range and can be used for both natural and bold makeup looks. This is probably one of the only palettes I own where the brush is actually worth using which pleased me as obviously it comes included with in the price (£45). It did hurt me a little to use the shadows at first since they have such a beautiful pattern on them. The packaging is unique too, being a mirrored front with the logo etched onto it. As you can see from the picture below, this does come with the downside that it marks easily, and will remain in it's box when I'm not using it. I was lucky enough to buy a two items from Tk Maxx; the orange-red lip pencil and the eyeshadow in Grenadine. Obviously there are major plus sides when you want to really get to know a brand and you come across some of their products in store. Sometimes it is really hit and miss when you go in as some products have been tested or the packaging has been damaged but I struck lucky with these. When I bought the Hot Sand Illuminator, which is absolutely stunning, I picked up a double pencil sharpener as I knew if I was investing in high end pencils, I needed a good quality pencil sharpener. The other three lip pencils I've tried but not worn for long but can tell they are so creamy already. The size of the lip liner is perfect as I can't stand any thicker as I love really defining my lips. Same goes for the eyeliner, it's the perfect size for drawing on your eyes and especially in your waterline and tightline. I adore the mini products such as the cheek and lip tint as it is perfect for applying to the apples of your cheeks, and the small audacious mascara which is ideal to stick in your handbag. I was surprised at the size of the 'mini' lipstick which seems to have almost the same amount of product as a full sized audacious lipstick. 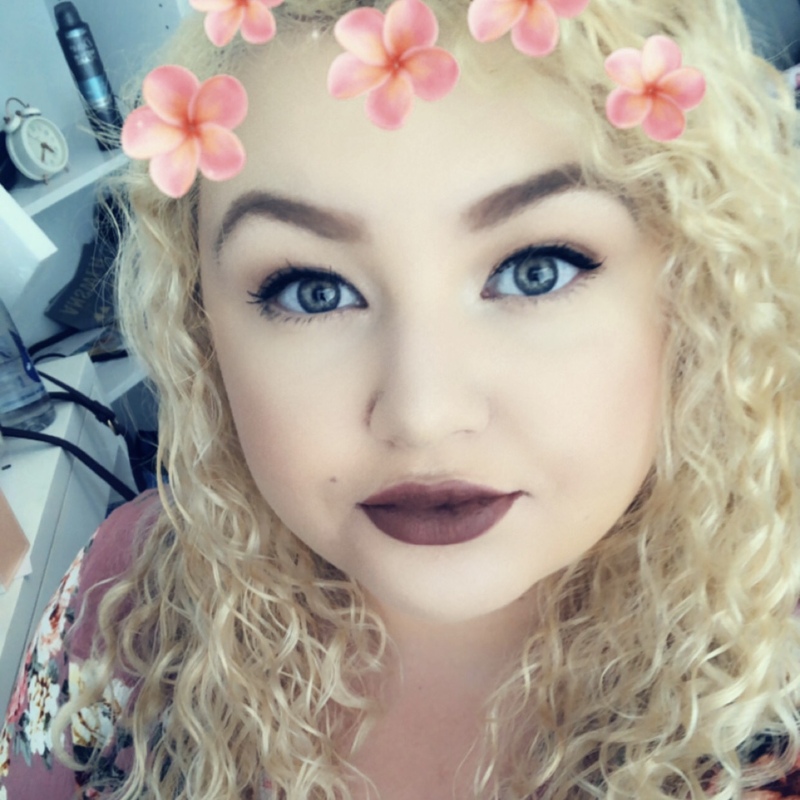 I'm head over heels for my audacious lipsticks in Charlotte and Liv and have my eye out for Claudia and Lana in the future. 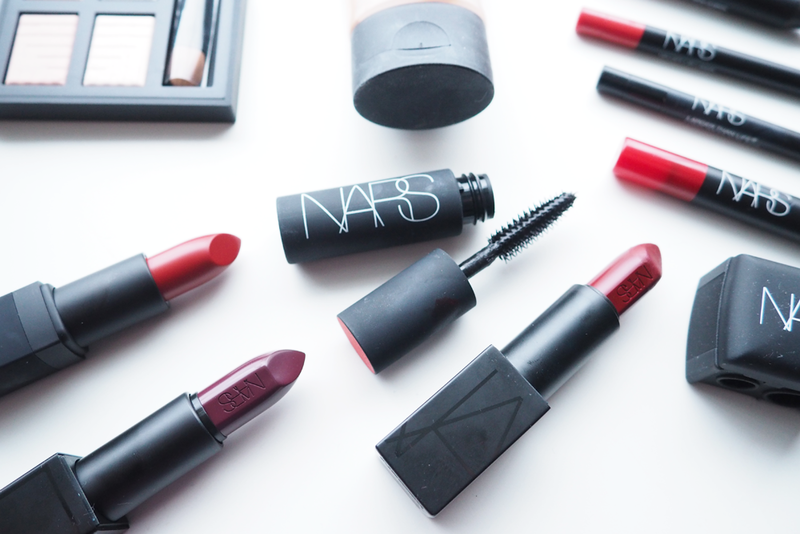 What Nars products are your favourites?